Did you know that the Duke Energy Children’s Museum of Cincinnati is a past project of the Junior League of Cincinnati and is also home to the JLC’s GrinUp! Exhibit? 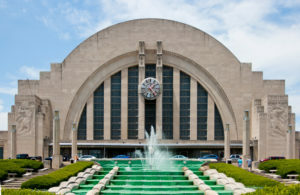 Join the JLC at the Cincinnati Museum Center to hear more about our involvement in the community and how you can get involved in the Junior League of Cincinnati. This event is family-friendly and children are welcome. Questions? Contact us at recruitment@jlcincinnati.org. Are you already a JLC member and want to attend? Please use the Member Home Page Calendar to register.